This Saturday sees the Swans welcome Millwall to the Liberty Stadium in their latest Championship fixture, after a turbulent 10 days in SA1. It has been another eventful week for Swansea City with the resignation of Huw Jenkins shortly after last week’s 1-0 defeat to Bristol City. The Swans were poor in the defeat at Bristol City but perhaps could be excused with off field events being a distraction between the transfer deadline day mayhem and the news that Jenkins would resign likely to be common knowledge in the dressing room before the game – even if it wasn’t public knowledge until later that evening. The result leaves Swansea in 13th place in the Championship and still remarkably only 6 points off the play-off positions. Millwall were held to a 0-0 draw at home to Rotherham in their last Championship outing and currently sit just above the relegation zone in 20th place. Lions boss Neil Harris must be wishing his side could transfer their FA Cup heroics over into their league performances. Take a look at all of the historical results between the two clubs since their first meeting way back in 1921, when the Swans and Lions played out a goalless draw at the Vetch Field, on our Swansea City v Millwall Head to Head Statistics page. The last time the sides met in south Wales in December 2010, the Championship game ended 1-1. Experienced Premier League official Kevin Friend will be the referee for the game and is no stranger to the Liberty Stadium over recent seasons. Ironically, prior to this game Friend has only officiated two other Championship games this season and both have involved either the Swans or Millwall. He oversaw the Swans 3-0 triumph over QPR at the Liberty in September and currently averages 3 yellow cards per Championship game. 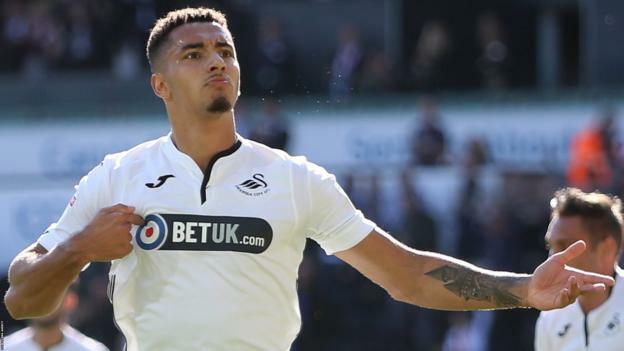 Despite off field issues I do feel Swansea are good value to win the game this weekend and they are available at 117/100 (2.17) with BlackType to pick up the three points. Aside from last week’s result the Swans have had some good performances in 2019 to date and deserved more than the eight points they amassed in the four league games in January. In addition to this, Millwall’s away form this season is the reason why they are so close to the relegation zone, as they have won just one away game this season – away to bottom side Ipswich. In fact they have picked up just seven points in total on their travels, compared to the 23 points they have picked up at The New Den. Oli McBurnie is a doubt for Saturday’s game as he has suffered from illness this week, but I would still choose to back him as first goalscorer given his recent goalscoring form. Oli is available at 9/2 (5.50) with BetUK to open the scoring and stakes will be refunded if Oli is not available for the game. Expect Courtney Baker-Richardson to start if leading scoring McBurnie isn’t selected, with Daniel James likely to start on the bench. The ACCA for this weekend is Arsenal, Sheffield Wednesday, Charlton, Luton and Forest Green and it pays just over 16/1 (17.00) with BetVictor. Swans to win at 117/100 (2.17) with BlackType. First Goalscorer – Oli McBurnie at 9/2 (5.50) with BetUK.